Maintaining the characteristics that made the Lithium such a successful kite in 2011, the 2012 Lithium introduces a new three-strut platform with more power, increased range, decreased bar pressure, and improved hang-time. The Lithium 2012 possesses the fast turning-speed, easy relaunch, and power house low-end that has made it a proven all-around performer. Standing out as the easy choice for all levels, from beginner to advanced, excelling in all conditions. The Airush Lithium is a true allrounder and scores high on many characteristics, which makes the Lithium a well balanced kite. No strange attributes, everything's tuned. 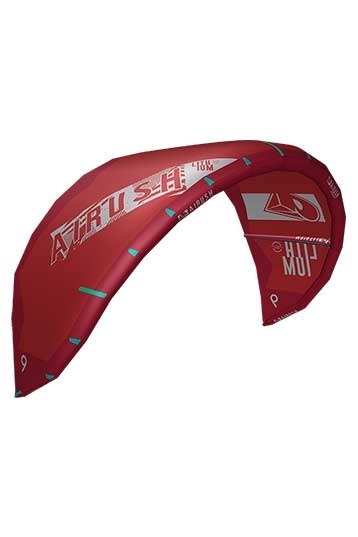 Being suitable for beginning to intermediate kite surfers, this kite is getting close to the Airush One. The main difference between the two is that the Lithium possesses a little more performance in lift, boost and height. Great, pretty soft and small turning circle makes it easie to power-up in lowend. Pretty gradual but brings you to a high level! The kite was tested on a stormy day in Holland on a strapless kiteboard. Up to 35 knots. The kite felt really comfortable neverthless the strong gusts. The kite has a lot of power on the edge of the windwindow. when you pull the bar the kite wil give you a lot of power. When you push it away almost all the power is gone. Perfect for waveriding. The kite is fast enough to put it wherever you want it. Conclusion: A good storm kite with an easy feeling, perfect for waveriding. 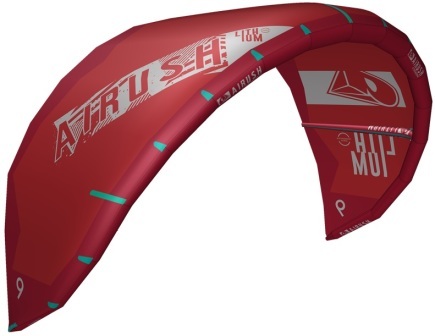 Great session with the Airush Lithium 6m. 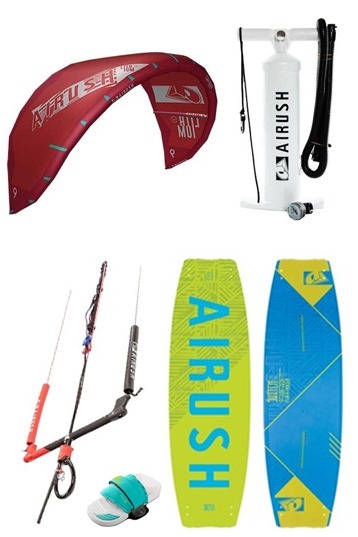 In strong winds this kite is a great tool to play in the waves. Good feedback, great control and wave riding performance. The total depower & good steering with slacked lines keeps you in control with gusts. Down loops in your bottom turn above 30 kts still possible with the 6m. We also tested the 4m and that was also a sweet one. Great building performance of the Airush team!